PAS published its first Information Report in 1949. To celebrate this history, each month we're presenting a new report from the archives. We hope you enjoy this fascinating snapshot of a planning issue of yesteryear. Information Report No. 50 May, 1953. Progress in medical science has developed new types of institutions for the care of the ill and new types of buildings to house these institutions and their families. An intrinsic part of this progress in medical science has been the ever-greater improvement and refinement of techniques of isolation and control of disease transmission. Both of these developments affect the physical relationships between hospitals and medical facilities, on the one hand, and the structures in the three basic zoning divisions of residential, commercial, and industrial uses, on the other. This information report will examine briefly the developments in medical practices which affect physical relationships between relevant land uses and the current practice with respect to zoning for hospitals and other medical facilities. Emphasis is placed upon the zoning ordinances that take into account the changing concepts of medical care as they affect medical buildings and the provisions which provide standards for these buildings and their sites. Conferences with hospital officials have disclosed a trend in hospital policy which has direct significance for zoning. According to both the Department of Hospitals and the Hospital Council — coordinating body for all hospitals in the city — the hospital of the future will tend to be a general hospital, with divisions for special types of treatment: tuberculosis, mental disorders, and so on. This integration of services reflects the new philosophy of medicine: that the human organism is a single functioning unit, to be treated as such; and that help of some sort can be given to everyone (there are no new hospitals for "incurables"). In accordance with this view, it would seem that no distinction in zoning can or should be made as to general or other hospital facilities. One of the principal problems in zoning for medical facilities of all kinds is definition and classification. What constitutes a "hospital," a "clinic," a "convalescent home"? Shall all kinds of structures for medical care be considered types of hospitals, or shall they be separated according to function, number of beds, type of patient, or some other characteristic, and on the basis of these characteristics assigned to different zones? The questions of definition and zone location are inextricably linked in zoning ordinances. Those communities that exclude from the general class of hospitals structures for tubercular, alcoholic, narcotic, insane, feeble-minded or contagious-disease patients also differentiate between the zones in which they may be located. In fact, it can be said that the usual purpose of making distinctions between types of hospitals is to regulate their zone location and site. If a distinction is made between types of hospitals, we assume that there are reasons for making the distinction or that there have been reasons in the past. We assume that it makes (or has made) a difference to the community where hospitals of different sorts are located. We assume that in discriminating between types of hospitals we are accurately sorting out those that are harmful from those that are harmless to the surrounding property. In short, we make functional distinctions between medical facilities. Thus, distinctions in an ordinance based on "harmfulness" are assumed to reflect a condition of harmfulness existing in the institutions themselves. If an examination of the institutions shows that a condition of harmfulness no longer exists, then the basis for this kind of a distinction no longer is valid. Obversely, if new conditions of harmfulness or incompatibility — resulting possibly from the multifarious developments of technology — have evolved, then these in turn should be reflected in the zoning ordinance regulations. In the Middle Ages persons with contagious diseases were carried outside the city walls into the open country. Eventually, hospitals were erected beyond the walls for the purpose of isolating and at the same time caring for afflicted persons. For its period, this was sound practice. The means by which diseases were transmitted were not known, and methods of treating diseases were primitive. 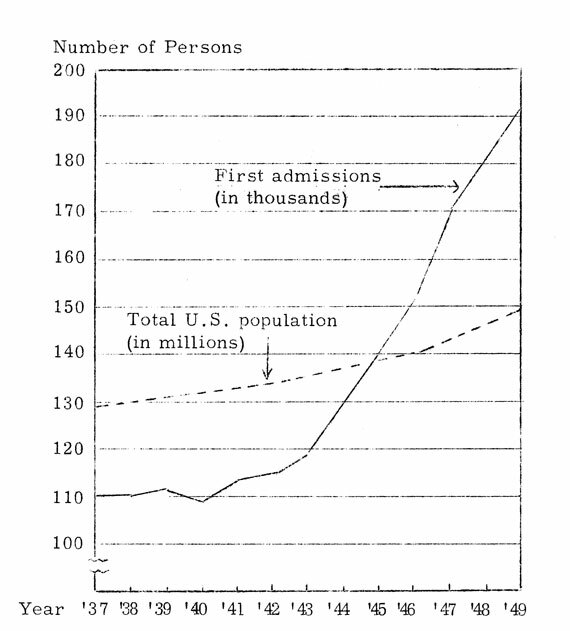 The only course was to isolate diseased persons — to put space between them and the centers of population. Although the principle of isolation remains a fundamental method of controlling the spread of disease, the primary unit of isolation has shifted from the building in which the diseased person is housed to the person himself. When it was found that transmission of certain communicable diseases depended upon insect or animal vectors and that other diseases could be "caught" only by prolonged or close exposure to a person ill from the disease, hospitals for the treatment of communicable diseases were sometimes permitted to return to land within the city walls — or the municipal boundaries as they now had become. The exclusion from cities or from certain districts in cities of sanitaria for the treatment of tubercular patients apparently has followed a similar course of reasoning. From the position of accepting tuberculosis as an ailment that could be lived with, society moved to the view that patients in an active stage of the diseases should be isolated and given special treatment. The therapeutic value of abundant sunlight and fresh air encouraged the growth of sanitaria in rural and semi-rural locations. At some point in the sanitarium movement for the treatment of tuberculosis the belief developed that the sanitaria themselves should, as a public health measure, be isolated and even excluded from an urban area. Other special hospitals throughout history have been banned from municipal corporations, although their isolation has not been primarily to prevent the transmission of disease. Institutions for the care of the mentally ill are notable examples, where the main reason for their isolation was to see that the noise and violent behavior that reached beyond the institutional walls were far enough distant so that surrounding uses were not disturbed. Perhaps for similar reasons, institutions for drug addicts, alcoholics, or correctional purposes have been barred entirely or restricted to districts which tolerate other uses with "nuisance" characteristics. Or perhaps it has been the long finger of Mrs. Grundy that has singled out these institutions for isolation from respectable neighborhoods. In spite of the fact that medical control of disease transmission within a hospital and within its immediate environs is highly effective, a surprising number of local zoning ordinances continue to reflect the erroneous belief of past centuries that distance measured in terms of miles is necessary to protect the community against disease. Hospital staffs are concerned with the clinical isolation of disease within hospitals, with the problem of inadvertent disease transmission by hospital personnel, with the elimination of air-borne infections within hospitals, and with the dangers of cross-infection amongst patients with possible undetected communicable diseases. The environment through which disease can be transmitted is now recognized as being composed of a very small area — except, of course, in instances where an insect vector is involved or where some widely used substance such as milk or water is contaminated. To exclude from any particular location in an urban area a special type of hospital, or a hospital treating special types of cases, solely on the grounds of danger to the public health because of the dangers of disease transmissionis an action contrary to scientific findings on the methods and circumstances under which disease is transmitted. That the segregation of hospitals treating communicable diseases is unjustifiable has been upheld in numerous court decisions; others have supported such segregation. Some of the cases cited below were concerned with an attempt to prohibit hospitals of a certain type from locating any place within the city limits; others dealt with particular zone regulations. Of the communicable disease hospitals, tuberculosis sanitaria seem to come in for the most objections, probably because the historic contagious disease hospitals — "pest houses" — are obsolete and because, on the other hand, tuberculosis hospitals are increasing in number as a result of the wider and more effective program of detection. An early case established the invalidity of an ordinance prohibiting maintenance anywhere in the city of a hospital for treatment of contagious or infectious diseases. In San Diego Tuberculosis Association v. City of East San Diego et al., 186 Cal. 252; 200. P. 393, Supreme Court, (1921), the court declared that such an ordinance was wholly unreasonable and not justified as an exercise of the police power. A few years later, a case arose in South Carolina under a city ordinance that prohibited the erection, maintenance and operation of a tuberculosis hospital within the city limits. This was Law et al., members of Spartanburg County Board v. City of Spartanburg, 146 S.E. 12, (South Carolina, 1929), in which the court found that this ordinance was void because it conflicted with a state act providing for the erection of a tuberculosis hospital in Spartanburg County and for the selection of a site by trustees of Spartanburg General Hospital. The court also found that such a hospital is not detrimental to public health in the city of Spartanburg. The municipality is powerless to prohibit that which the state authorizes, directs or requires. An act done by virtue of legislative authority cannot be declared a nuisance. The statute in question was declared valid, the ordinance invalid. The case of Jewish Consumptives Relief Society v. Town of Woodbury, 230 App. Div. 228, 243 N.Y.S. 686, which concerned a zoning ordinance prohibiting hospitals for contagious diseases and tuberculosis within the limits of the town, brought out in the decision a number of sensible statements on this general point. It was found that a zoning ordinance cannot exclude a tuberculosis hospital from any part of the corporate area where a general health law authorizes location; it cannot violate state laws which do not specifically relate to zoning, for example, one authorizing locations of tuberculosis hospitals Such an ordinance forbidding tuberculosis hospitals in locations authorized in accordance with health laws is void. there will be danger of the spread of contagious and infectious disease to residents in the neighborhood thereof such as the danger of infection from insects such as flies, fleas, or mosquitos, or from animals such as rats or other rodents, cats, dogs, or birds, or from children or feeble-minded people wandering into the hospital or into dangerous proximity thereto or from escaping patients, or from possible infection of the clothing of nurses, attendants, or from unknown carriers of disease. Concerning this latter class of evidence it is in our opinion entirely speculative, and amounts to no more than the conclusion of these opinion witnesses that every hospital in which any infectious disorders are treated, regardless of the perfection of its construction and operation in accordance with the most up-to-date principles, methods, appliances, and preventatives, constitutes a menace to public health and a nuisance per se in its relation to dwellers in the vicinity of its proposed location. We cannot subscribe to such a doctrine, since to do so would result in the exclusion of all hospitals treating infectious diseases from cities and other places in the near vicinity of private abode, a conclusion obviously in conflict with the clearest mandates of public policy and the exercise of the police power in relation to public health. A similar view was sustained in Board of Health v. North American Home, 77 N. J. Eq. 464, when the court refused to issue an injunction against a sanitarium for treating children with tuberculosis of the bone, reasoning that there appeared to be no real danger to the residents of the vicinity and that the mere fear of danger by uninformed persons was not sufficient ground to restrain the sanitarium. Also, in Cherry v. Williams, 14.7 N. C. 452, 61 S. E. 267, the court refused to restrain a person seeking to erect a tuberculosis sanitarium on his own property situated in a residential section of town on the grounds that there was reasonable fear of danger, holding that proof of danger to the health and life of persons in the vicinity was lacking. With mental institutions, and even with institutions for the care of epileptics, crippled children, and other physically handicapped persons, segregation is based, not on fear of contamination, but on other kinds of fears which are more difficult to identify. Fear that the inmates may escape, that their unseemly behavior may be observed from the sites of residences on the edge of the grounds, and that noise of a particularly disturbing type will also offend, are all part of this attitude toward such institutions. In the days when all types and stages of mental, psychological, and even criminal disorders were placed in one institution, some of these fears may have been justified. However, diagnosis, classification and differential treatment of mental ailments have shown that the popular stereotype of the violently "insane" from whom society must protect itself is both outmoded and unrealistic. Some persons needing psychiatric care do not need hospitalization. From the standpoint of medical treatment, they are "mental patients. "1 Hospitals caring for them are caring for the mentally ill, and according to some zoning ordinances, should, therefore, not be allowed in certain districts. Some types of mental illness require only short-term treatment, and others — for example, those associated with senility — will continue as long as the patient lives. Because of the legally established procedure set up by most states for the care of the mentally ill, there is a certain amount of segregation of types of cases on the basis of the severity of the ailment and its probable duration. Severe cases, for whom immediate or eventual cure is not foreseen and who must be committed to institutions for their own protection and for that of the community, are usually referred to state institutions for this purpose. The locations of these hospitals are generally selected by the state. Often an isolated, semi-rural spot is chosen, although there is a growing body of evidence showing that physical isolation also means medical isolation. The problem of the mentally ill will be with us for a long time. According to Facts and Figures About Mental Illness and Other Personality Disturbances, the patients at present in mental hospitals constitute 47 per cent of all patients in all hospitals in the United States. are suffering from mental illness and other personality disturbances or physical illnesses associated with mental illness and other personality disturbances. A measure of the deficiency of hospital structures accommodating the mentally ill is seen in the estimate stated in Facts and Figures About Mental Illness and Other Personality Disturbances that there is need for about 330,000 more "acceptable" beds in the state mental hospitals. There are only about 420,000 such beds today against a total need of 750,000 according to federal government standards of 5 beds for mental illness per 1,000 population. The implications for community planning for hospitals arising from these figures go far beyond the scope of this report. It seems clear, however, that a reappraisal of zoning ordinance regulations with respect to hospitals treating mental cases is indicated in many communities. While cases on hospitals caring primarily for mental patients have not been as numerous as those dealing with communicable disease, opinion has been almost evenly divided on the validity of their segregation. In Jones v. Los Angeles, 211 Cal. 304, 295 P. 14, (1930), the District Court of Appeals decided that a zoning ordinance that permitted hospitals for the insane in a thickly populated and densely settled district and at the same time excluded them from less dense districts was discriminatory, oppressive, and void. At the same time, it declared that an ordinance excluding additional hospitals, including institutions for the care and treatment of the insane and feeble-minded, was not an arbitrary and unreasonable classification but that it could not be retroactive in operation. In another instance, Pilling v. Davidson, Supreme Court of Nassau County, New York, August, 1941, 30 N.Y.S. 2d 97 (ASPO Newsletter, March, 1942), an ordinance that allowed the board of zoning appeals to grant a special exception for a sanitarium to care for the insane in a residence district was upheld. Few cases have arisen in recent years regarding mental institutions. However, the essential similarity of care of mentally retarded children and care of convalescent cardiac children was inferred in Rogers et al. v. Association for Help of Retarded Children, Inc., Supreme Court, Appellate Division, April 7, 1953, 120 N.Y.S. 2d 329 (5 ZD 102), where the transformation of a convalescent home for cardiac children to a school for the care of mentally retarded children was held to constitute a continuation of a previously existing nonconforming use. For example, the Hospital Council of Greater New York, in its Master Plan for Hospitals and Related Facilities for New York, made a series of recommendations for the types and quantities of physical facilities required within its geographical jurisdiction. The inventory of existing facilities followed a classification corresponding to the types of hospitals in existence. Recommendations for future facilities followed the same classification in terms of types of illnesses or beds for these illnesses. As will be seen, the Council recommends a high degree of integration of special services with general hospitals. 5. Patients with mental disease. It is interesting to note, in the light of general zoning practices which have excluded hospitals for alcoholics, that the Council believes that "facilities for the care of alcoholic patients without psychiatric complications should be considered in the field of general care; those with such complications are provided for in the facilities for patients with mental diseases." since approximately 70% of the patients requiring services in convalescence are those recovering from acute illness or injury in a general hospital, and since medical care is required for most of the patients, the master plan recommends that these beds be established in connection with general hospitals. because over 50 per cent of the patients to be provided for in the 2.0 beds per 1,000 population will require active medical care, and the remainder medical care incident to custodial care, the Master Plan recommends that these facilities be established as units of general hospitals. Acute communicable diseases are those which are contagious and require isolation for the general welfare of the public. They occur mostly in children and are most prevalent during the early months of the year. Facilities for acute communicable diseases are never fully utilized throughout the year. The incidence of these diseases, and consequently the need for facilities for their care, is steadily decreasing. Extension of home medical and nursing care will undoubtedly further reduce the need for hospital facilities. ... The care of acute communicable diseases should be the responsibility of the general hospital. Separate institutions for these patients are not indicated. Insofar as facilities for patients with tuberculosis are concerned, two general types of hospitals are recognized as being needed. Procedures for early diagnosis must be carried out in general hospitals if early recognition of the disease is to be accomplished. Further, the Hospital Council believes that treatment during the initial stage or treatment of a surgical nature should be available in the general hospitals. The remainder of the treatment may be provided in hospitals established primarily for the care of these patients. "These hospitals should be established within the city, or just outside the city limits. Inaccessible hospitals are not indicated and reduce the opportunity for rendering complete care." The care of psychiatric patients extends beyond those admitted to institutions for mental disease. Many individuals require psychiatric care and use of special facilities in addition to those who must be committed to institutions for their own protection and the general welfare of the community. All patients requiring psychiatric care do not require admission to a hospital. Extension of services for the ambulant patient will materially alter the needs for bed facilities. The Master Plan excludes facilities for mental defectives and for epileptic patients without psychosis. There is ample evidence from other sources that the medical profession now believes that special ailments should have the benefit of treatment in a well-equipped and adequately staffed general institution. A number of these references are listed in the bibliography at the end of this report. For example, Carl Menninger, in an article entitled "Future Psychiatric Care in Hospitals,"3 states his conviction that psychiatric hospitals of the future will not be detached from the strictly medical and surgical hospitals, and that psychiatry has its place not only in medicine and surgery, but in every specialty of medicine. That care for the chronically ill should be integrated with the general hospital is propounded in an article by E. M. Bluestone, entitled "The Chronics: They Belong in General Hospitals." In "Tuberculosis Control in General Hospitals," the authors claim that there is no valid reason for not including the diagnosis and care of pulmonary tuberculosis in general hospitals and clinics. Climatic treatment of tuberculosis is recognized as inadequate, and the advances of surgical therapy have emphasized in recent years the necessity of centralizing the treatment of this disease in urban communities rather than in outlying districts. Thus we must conclude that the functional trend in hospital care is the treatment of all types of medical cases in general care hospitals — with a continuation of special hospitals where their need is indicated. If this trend of medical integration is placed alongside the knowledge that communicable disease and mental and other special hospitals or facilities are no longer inimical to the welfare of the community, then we see that there is no valid reason for distinguishing between hospitals classed by types of patients for purposes of differential zone location. If there no longer is justification for making a zone distinction between hospitals on the basis of types of medical services offered, then two questions arise: (1) Is there another classification we should observe for the purpose of zone location? and (2) The proper zones having been decided upon, are there still within those zones standards that should be maintained with respect to physical structures and the activities carried on within them? In brief, are there new or heretofore unrecognized functions of hospital structures that should be reflected in zoning ordinance provisions? One approach to answering these questions is to identify and examine medical facilities and the structures that commonly make up these facilities. For the purposes of the zoning plan, this should be a fruitful approach, for after all, zoning is primarily concerned with the height, area, and use of buildings. The Public Health Service of the Federal Security Agency has developed a functional classification of health facilities which is also particularly appropriate for zoning purposes. This classification is, therefore, reproduced in its entirety from Special Information Bulletin No.7, HEALTH FACILITIES UNDER CMP [Controlled Materials Plan] (9/8/52). HOSPITAL. An institution providing health services primarily for in-patient medical or surgical care of the sick or injured and including related facilities such as laboratories, out-patient departments, training facilities, central service facilities, and staff offices which are an integral part of the facility. Types of hospitals include general, mental, chronic disease and allied special hospitals such as cardiac, contagious disease, maternity, orthopedic, cancer, and the like. MEDICAL CENTER. A group of facilities providing health services including medical research and other related facilities such as laboratories, in-patient and out-patient departments, training facilities, central service facilities and living quarters operated as an integral part of the facility. PUBLIC HEALTH CENTER. A facility primarily utilized by a health unit for the provision of public health services, including related facilities such as laboratories, clinics, and administrative offices operated in connection therewith. HEALTH UNIT OFFICE BUILDING. Office buildings, financed by public funds and constructed for exclusive use by state or local health units. SCIENTIFIC LABORATORY. A facility operated for the primary purpose of performing medical or dental research, diagnostic, testing, analytical or clinical work having a direct relationship to the provision of health services. Examples of such scientific laboratories include, but are not limited to, those primarily engaged in medical research, or in the fields of Radiology, Hematology, Serology and Immunology, Allergy, Biochemistry, Basal Metabolism, Microbiology, Parasitology, Pathology, Histology, Cytology, Toxicology, and Pharmacology, and the like. Laboratories engaged in production controls or in the manufacture of products for commercial sale or distribution are not considered to be health facilities. REHABILITATION CENTER. A facility operated for the primary purpose of assisting in the rehabilitation of disabled persons and in which a coordinated approach by many professions is made to the physical, mental and vocational evaluation of such persons and to the furnishing of such services as are required. The term "rehabilitation center" includes special rehabilitation centers for the blind, sometimes called "adjustment centers." Examples include institutes for the crippled or disabled, health camps, health and rehabilitation centers, curative workshops, and others which are operated primarily for rehabilitation purposes. Schools for the Blind, Deaf, etc., are a responsibility of the Office of Education, Federal Security Agency, Washington, D. C. Sheltered workshops, which have the primary purpose of enabling persons to earn money, are the responsibility of the Construction Controls Division, National Production Authority. SCHOOL OF NURSING. A facility, ordinarily affiliated with a hospital, operated for the primary purpose of training nurses, including such schools when university-owned. MORGUE. A facility, usually publicly-owned and operated, where dead are temporarily kept for disposition, identification or autopsy purposes. Mortuarial facilities, such as Funeral Homes, are the responsibility of the Construction Controls Division, National Production Authority, Washington, D.C. SANITATION SYSTEMS. Refuse disposal systems, such as sanitary land-fill operations, publicly-owned incinerators, free-standing incinerators and dumps, regardless of ownership. Water service facilities such as water supply, sewer construction, and drainage programs are the responsibility of the Water Resources Division, National Production Authority, Washington, D.C.
HOSPITAL AND OTHER HEALTH FACILITY HOUSING. Residential structures connected with hospitals and other health facilities, such as staff residences, nurses' homes, dormitories, and quarters for employees. With the exception of the first three definitions (hospital, medical center, and public health center) these facilities may appear in any combination within any hospital, medical center, or public health center. Thus, the size range of hospitals or medical centers is extremely broad. A general hospital may have 50 beds, 200 beds, or a thousand or more, depending upon the population size of its service area. A medical center may have 1,900 beds as in the three hospitals of the hospital center planned at Ponce, Puerto Rico, or 5,000 as in the six hospitals of the Chicago Medical Center. A hospital may or may not have a resident training program, whereas in the medical center, teaching and training are an essential element. A hospital may be one building, or it may be several buildings and still not constitute a center, A medical center, on the other hand, is essentially a group of buildings, usually consisting of a general teaching hospital, a medical school, and one or more special hospitals. For the purposes of zoning ordinance regulations, we see that there is a vast difference between the small, 50-bed hospital, contained in one unit, surrounded by wide, landscaped grounds, and the recently evolved medical center on several hundred acres of ground. Whereas the unitary hospital may be entirely compatible with uses in a residential district, the medical center, because of its large size and the diverse types of land-use that compose it, may constitute a special district in itself. Although the Public Health Service definitions of health facilities give some idea of the scope of special land uses that can be expected in a hospital or medical center, it may be useful to explore tentatively some of the implications for zoning arising from their existence. One type of scientific laboratory, for example, is the blood bank — a standard feature in many hospitals. In at least one large American city, this seemingly innocuous feature has unexpected "nuisance" characteristics. Being the blood bank for a region, it attracts large numbers of persons who, viewing their blood as a commodity, are not the type of individuals to be filtering through a residential district on their way from a transportation terminal to the blood bank. Animal laboratories, sometimes housed in special animal buildings, are another feature to be considered. If the hospital or hospital group has a program of resident training for physicians, a nursing or medical school, then the facility in part takes on the characteristics of a university campus, and zoning regulations for dormitories may be appropriate. Out-patient programs provide another complication with respect to traffic and public transportation facilities. The considerations that have been briefly discussed here may be augmented by the reader who has had experience with land-use planning for hospitals. However, these considerations alone lead us to the conclusion that the matter of zone location and site standards for hospitals is a very complex one. Perhaps one solution will be in the eventual development of performance standards for hospitals — quantitative measurements of the effects of the legitimate activities of hospitals. In the meantime, it should be possible to determine objectively what constitutes desirable, minimum lot sizes or acreages for different hospitals; what constitutes desirable lateral distances from other structures (both from the standpoint of the other structures and from the standpoint of the hospital); and what lateral dimensional standard should be observed for access drives and service areas. Before passing to an analysis of existing zoning ordinance provisions for hospital regulation, a brief enumeration of locational needs for hospitals may serve to round out the picture on hospital location. There is widespread acceptance, among hospital planners, on the criteria for site selection. The following statements were excerpted from Design and Construction of General Hospitals, published by the Modern Hospital Publishing Company, Inc., Chicago. Some of these may be modified where a medical center is the unit being planned instead of the unitary hospital. 3. Nuisances. The site chosen for the hospital should be free from undue noise, such as that emanating from railroads, freight yards, main traffic arteries, schools and children's playgrounds. It should be removed from industrial or topographical conditions which would encourage breeding of flies, mosquitoes or other insects. The site should not be exposed to smoke, foul odors or dust, or so located that prevailing winds from a nearby industrial development will bring smoke or objectionable odors to the hospital. Proximity to a cemetery is undesirable for a hospital site. Exposure of the building to adjacent fire hazards is to be considered with these other factors. Not only must such nuisances be avoided at the time of construction, but consideration should also be given to any probable future developments of an objectionable nature in the immediate area. 6. The dimensions of the site will be affected by the type of plan adopted. Obviously, a multi-story building can be placed on a site smaller than that required for a one-story building of the same capacity. In any case, the plot chosen should allow for future expansion of at least 100 per cent in building area, and still retain attractive grounds and obviate objectionable appearances of overcrowding. Thought may be given to the possibility of subsequent provision for communicable disease, psychiatry and other special services. On the other hand, too large a site results in costly upkeep. Recreation areas are not required for patients of general hospitals, but some provision is necessary for tennis courts and other recreational facilities if nurses or internes are to be housed. Sufficient space must be available to accommodate the various traffic lines coming to the institution and ample parking space must be provided. ... The new hospital, if at all possible, should be built at some distance back from the sidewalk line. Within limits, the farther back the building is located, the better. It is encouraging to note that nearly as many zoning ordinances now reflect the functional needs of hospitals and the protective needs of the neighborhood as do those that simply relegate hospitals to a mixed use or industrial zone. Where communities have evaluated the merits of hospital location, they have also considered what steps should be taken to protect the surrounding properties. It is believed, however, that we have just made a start in this direction of correlating zone location, site location, neighborhood protection, and the needs of the medical facilities involved. It is commonly known that hospitals tend to locate in centers of population and that it is in the metropolitan areas where the vast medical centers and the wide variety of medical services are found. This being the case, it may be fruitful to examine the zoning ordinances in effect in the ten largest cities in the United States to see how health facilities have been accommodated in the areas of their highest incidence. For purposes of analysis, the ordinance provisions of the ten largest cities have been arranged in order of permissiveness, i. e., those that are least restrictive in the matters of zone location and type of facility are placed higher on the list than those that are more restrictive in these respects. The range of zones in which hospitals of different types may locate is indicated in each case. New York, New York (Amended to December 31, 1944). Hospitals and sanitariums are specifically permitted in residence districts. No distinction is made as to type of hospital or sanitarium. A list of uses prohibited in business and subsequent districts does not mention hospitals. Presumably, then, hospitals may locate in any district in New York City. The Plan for Rezoning the City of New York recommends that this policy be continued: "The criteria for hospital location being parallel to those for dwellings, and the importance of a good environment being certainly no less for the sick than for the well, it seems reasonable that zoning should admit hospitals to Residence Districts of any type. " Baltimore, Maryland (1931). This ordinance is prohibitory throughout, and hospitals are nowhere mentioned among prohibited uses. Presumably, they may be located in any district in Baltimore. Boston, Massachusetts (Revised November, 1948). A hospital, home for the aged, convalescent home, or sanitarium may be located in single residence districts if the health commissioner and the building commissioner approve the location as being not detrimental or injurious to the residential character of the neighborhood, and after public notice and hearing. No distinction is made between types of hospitals. These facilities continue as permitted uses through the local business district. Commencing with the general business district, a list of prohibited uses fails to mention hospitals. Apparently, they would not be prohibited from locating in commercial and industrial districts, although the intent of the ordinance seems to be to encourage their location in residence districts. Philadelphia, Pennsylvania (Amendments to September 1, 1947). Hospitals, sanitaria, eleemosynary and public institutions (other than correctional), provided any such use is not prejudicial to the public health or welfare, are permitted in all residential districts. No distinctions are made as to types of hospitals or sanitaria. In residential A and B districts, they shall be located at least 75 feet from any adjoining lot or lots; in residential C districts they shall be located at least 50 feet away. This is a "pyramid" type ordinance, and hospitals are not prohibited in any of the succeeding districts. Washington, D.C. (February, 1950). Hospitals, sanitariums, and clinics for human beings are permitted in the residential "A," "B," "C," and "D" area districts. (Falling under the area districts are sub-categories of "A" restricted-area, "A" semi-restricted-area, and "B" restricted-area districts which are to be construed as use districts. These latter are essentially residential, and do not permit the institutional uses allowed in the residential "A," "B," "C," and "D" area districts.) No distinction is made as to type of hospital. Los Angeles, California (September 6, 1952). A pattern of hospital location, based on the one hand upon type of district and in the case of residential districts upon density, and, on the other, on type of hospital and number of beds is worked out in some detail in the Los Angeles ordinance. This correlation, resulting in rather complex ordinance requirements, is particularly appropriate for a municipal corporation which embraces a wide variety of land uses and a wide range of residential densities. In our list of ordinances, this is the first instance where health facilities for the care of contagious, mental, or drug or liquor ailments are separated from other types of hospitals. (Cleveland, Chicago and St. Louis also make this distinction.) See Table I.
A-1 Agricultural Hospitals or sanitariums excepting clinics, and hospitals or sanitariums for contagious, mental, or drug or liquor addict cases. Minimum lot area of 5 acres, minimum average width of 300 feet. Hospitals and sanitariums not exceeding 50 beds may be located on lot not less than 2 acres. Buildings must be at least 50 feet from all lot lines. A-2 Agricultural Hospitals or sanitariums (with above exceptions). Minimum lot area of 2 acres. R5 Multiple dwelling Hospitals or sanitariums (with above exceptions). A side yard of each side of not less than 20% of the width of the lot, but such side yard need not exceed 25 feet and shall be not less than 10 feet in width where said yard adjoins another lot in a RA or R zone. C1 Limited commercial Hospital, sanitarium or clinics (with the above exceptions). The height, yard, and area requirements of the district shall be observed. C4 Commercial and all subsequent zones NOT PERMITTED: Hospital or sanitarium. * "... if it finds that the proposed location ... will be desirable to the public convenience or welfare and will be in harmony with the various elements and objectives of the Master Plan." ** "... if he finds that the proposed location ... will be in harmony with the general purpose and intent of the 'Comprehensive Zoning Plan' and will not be materially detrimental to the character of the development in the immediate neighborhood." Cleveland, Ohio (Amended to September, 1947). Hospitals and sanitaria, including orphanages, nursing, rest, convalescent, old folks' and similar "homes" and not primarily for contagious diseases nor for the care of epileptics or drug or liquor patients nor for the care of the insane or feeble-minded are permitted in "A" and "B" dwelling house districts. "Charitable institutions not for correctional purposes" must be located not less than 50 feet in an A-dwelling house district, and 40 feet in a B-dwelling house district, from any adjoining private property in the same district not used for similar purposes. Board of appeals may vary the distance after public notice and hearing. Same uses are permitted in apartment house districts; designated distance must not be under 30 feet. Hospital, sanitarium, convalescent, rest or nursing home and orphanage or home for the infirm and aged permitted in Retail Business district. Since the notable exceptions are not listed, it is assumed that they are included under the general term of hospitals and sanitariums. Distance must be not less than 30 feet. Detroit, Michigan (Amended to February 1, 1942). Hospitals, asylums and sanitariums permitted in RM4 (50-foot height) Multiple Dwelling district. (Note: "asylum" generally means institution for the care of the insane, when used in the zoning ordinance.) Also pyramidal, this ordinance does not prohibit hospitals in any of the succeeding districts. Chicago, Illinois (1942). Hospitals permitted in the apartment house district. Hospitals or sanitariums for the care of contagious diseases or incurable patients and institutions for the care of the insane or feeble-minded are special uses and may be permitted in the apartment house district by the board of appeals after public hearing and provided it has been determined that the special use ". . . is necessary at that location for public convenience." This ordinance also being pyramidal, hospitals are permitted in succeeding districts. The special-use institutions apparently are restricted to location in the apartment house districts. St. Louis, Missouri (1950). Convalescent or nursing homes, and hospitals, except those for criminals and those solely for the treatment of persons who are mentally ill or have contagious disease are allowed as a USE EXCEPTION in any district. Appropriate conditions and safeguards may be imposed by the board of public service when authorizing a special permit. Apparently no particular provision is made for the excepted special hospitals, except that they are not listed among uses prohibited in the local business or subsequent districts. In summarizing zone regulations for hospitals in the ten largest cities, we find that six cities do not distinguish between types of hospitals, and apparently permit hospitals for care of patients with communicable or mental diseases to locate in any zone where general hospitals may be located. Of the four that do distinguish between types of hospitals, Los Angeles makes allowance for the "undesirable" types to be located in any residential zone subject to size limitations and approval of the city planning commission or the zoning administrator. This ordinance also is noteworthy because it does not permit hospitals in the C4 commercial zone nor in any of the subsequent commercial or industrial zones. Although neither St. Louis nor Cleveland apparently anticipate construction of the "undesirable" hospitals in any residential district, it should be noted that the wording does not preclude general care hospitals having psychiatric or communicable disease divisions. St. Louis is placed last in the sequence by virtue of the fact that hospitals are treated as use exceptions instead of outright permitted uses. Depending upon how it is administered, this ordinance may be no less adaptable than others with respect to zone location of hospitals. One comment with respect to wording of ordinances should be made. Although many hospital provisions typically say, "hospitals excepting hospitals or sanitariums for contagious, mental, or drug or liquor addict cases" this statement cannot absolutely be taken to mean that any general care hospital treating cases of the specified types would be excluded. In all likelihood, it means special hospitals for these particular purposes. A less ambiguous wording would have a modifying word, such as in St. Louis where hospitals solely for the treatment of the special cases are excluded, or as in Cleveland, where the phrase "not primarily for contagious diseases, etc." is used. In general, then, the current trend of integrated medical care is recognized in the zoning ordinances for the largest cities. With the exception of Los Angeles, however, little has been done in the way of site standards in the zoning ordinance. For comparative purposes, permitted zone locations and site standards for other cities have been summarized in Tables II and III following. The cities and counties listed represent no particular preference, and have been selected simply because they contain certain qualifications regarding hospital location beyond the mere statement that "hospitals are permitted in such and such a zone." The division of the data into two tables — regular hospitals and special hospitals — has been made to indicate the type of requirements that can be developed where distance is a mitigating factor. In the case of minimum lot areas, for example, these standards could be applied as well to a general care hospital having special services if a realistic appraisal of the situation would require them. * Special types of hospitals not excepted. Maryland-Washington Regional District in Prince George's County, Maryland Rural-residential 25 acres 200 feet "Protective man-proof fencing where necessary"
Kansas City, Missouri Any zone - - By special permit of board of zoning adjustment. Buildings may be constructed and/or used as clinics, dispensaries or offices for physicians, surgeons, dentists and technicians associated with the medical profession in that portion of any U-1 residence district or property immediately adjoining any publicly owned hospital grounds or upon the opposite side of any public street upon which publicly owned hospital grounds or upon the opposite side of any public street upon which publicly owned hospital grounds abut; and in connection with such clinics, dispensaries or offices, residences or living quarters of any physician, dentist, surgeon or technician associated with the medical profession, and having an office therein, may be included within said building. Such permits may be granted by the board of zoning appeals only after a fourteen (14) day period of examination. a facility organized and operated for the primary purpose of providing health services in more than one medical or dental specialty for out-patient medical or dental care of the sick or injured, and including related facilities such as laboratories and other service facilities operated in connection with the clinics. The third type of clinic is the private group clinic consisting of several physicians in cooperative practice using joint or common office facilities, equipment and, sometimes, auxiliary personnel. Usually there is a centralized administrative and financial arrangement. Clinics of this type may range from small groups of only three or four physicians working together, to a very large group of seventy or eighty professional men, including physicians, dentists and pharmacists. Whatever the size, there are no regular overnight accommodations for patients. Definitions of clinics in zoning ordinances are characteristically simple, and most ordinances have not found it necessary to define clinics as such, but use the term only in connection with other medical facilities. As with hospitals, clinics for the treatment of animals are sometimes specifically excluded in the definition of clinic. In the zoning ordinance of Dallas, Texas (amended to 1949) a clinic is defined as "an institution or station for the examination and treatment of ill and afflicted outpatients." Long Beach, California (amended to 1951) qualifies the term clinic as referring to "dental or medical, allowing overnight cases only in emergency cases." In Bell, California (1949), a clinic is defined as "a place used for the care, diagnosis and treatment of sick, ailing, infirm and injured persons, and those who are in need of medical or surgical attention, but who are not provided with board or room or kept overnight on the premises." A rather unusual definition is found in the zoning ordinance for Montgomery County, Maryland (1950), in which the term "medical clinic building" means "a structure housing under one roof complete diagnostic and treatment facilities for ambulatory out -patients." Regardless of whether the clinic is a public health facility or a private group clinic, its physical and functional characteristics are the same for the purposes of the zoning ordinance. However, in preparing the zoning plan, it would be well to have in mind the knowledge that there are different proprietary types of clinics; that they may either be a part of a large plant, or they may be isolated structures; and that the whole field of clinical treatment is undergoing development. Because of the growing popularity of the term "clinic" it would probably also be wise to specify medical clinics to preclude the interpretation that the term might mean legal, architectural, engineering, automobile, real estate, speech, reading, animal, and other types of corrective or trouble-shooting institutions and concerns that have nothing to do with medical care of human beings. Almost without exception in the ordinances examined, clinics, when they are mentioned, are listed along with other places for the treatment or care of human ailments. Thus it is quite common to see a clause which permits in a certain district hospitals, convalescent homes, old people's homes, maternity homes, children's nurseries, religious, educational and philanthropic institutions, doctors' offices, etc. Clinics, then, are one type of a number of related medical facilities which the zoning ordinance permits in a specified zone, and though these facilities appear in different combinations, no instances have been encountered where clinics are treated singly. An idea of the current practice regarding clinic location can be gotten from Table II. Few distinguishing standards have so far been developed for clinics. One exception is Anchorage, Alaska (1952), where medical clinics, along with churches, libraries and museums, clubs, and professional offices are permitted in the R-3 multiple-family district, provided that no portion of the structure containing such use shall be less than 15 feet from any adjacent residential lot. Another is the Maryland-Washington Regional District in Montgomery County, Maryland (amended to 1950), where a medical clinic building may be permitted in any residential zone by the board of zoning appeals if noise, traffic, etc. are guaranteed not to affect adversely the surrounding neighborhood and if the following spatial standards are observed: Total area, 40,000 square feet; frontage, 200 feet; setback, 40 feet from all property lines. Like clinics, convalescent homes are a relatively new development in medical care. Medical authorities agree that the supply of facilities in most urban centers for the treatment of persons recovering from illness is far from adequate, and that much remains to be done in the development of both quantity and quality as related to community need. a facility which (1) provides nursing services on a continuing basis; (2) admits the majority of the occupants upon advice of physicians as ill or infirm persons requiring nursing services; (3) provides for physicians' services or supervision; and (4) maintains medical records. Such facilities may also provide other and similar medical or nursing services. Examples of nursing home facilities that provide health services may include, if they comply with all the above criteria, nursing homes; convalescent homes; maternity homes; rest homes; sanitoriums; veterans' homes and soldiers' homes; homes for the aged; institutions for the feeble-minded, epileptic, cerebral palsied, and the like. This definition establishes professional standards which would be outside the province of the zoning ordinance to require. However, as a summary of the functions of the nursing or convalescent home, it can be used as a basis for making decisions regarding the proper zone location for such uses. At present there is a wide variety of types of structures used for nursing homes. We are all familiar with the converted mansion type of convalescent home and the smaller "family dwelling" type of building, with only a few rooms designated for patients. A survey of nursing homes in California ("Progress in Nursing, Convalescent and Rest Homes," by Bernice L. Hotchkiss, in Hospitals, January, 1953) revealed that nearly one-half of the nursing homes licensed in that state were one-story structures. The same survey showed that the number of beds in a home may range from under 10 to over 100. In their present state of structural heterogeneity, the convalescent home could be considered as a sort of cross between a hospital and a multi-family dwelling with some of the characteristics and some of the needs of each. Partly because convalescent homes have, in many cases, started in large estates or large dwellings, and partly because of the popular idea that wide expanses of countryside are in themselves conducive to recovery, there has been a tendency to believe that convalescent facilities should be located far out in the country. Isadore Rosenfield, in his authoritative work, Hospitals — Integrated Design (Progressive Architectural Library, Reinhold Publishing Corporation, 330 West 42nd Street, New York, 1951), states categorically that convalescent facilities should be in, or as near as possible to, the community served, and at a distance that is consistent with a wholesome environment. Distance, he says, is not conducive to convalescence in most cases. With the steadily increasing percentage of old people in our population, and with the growing community awareness that the nursing home fulfills a special type of need in our society, new and perhaps larger building types can be expected to develop for these purposes. Some of these indications can be seen in current architectural magazines which show new building types for new types of health care. Rosenfield believes that when we begin to plan functionally for specific types of medical care the structures resulting will be in forms that are unpredictable at the present time. As mentioned above, convalescent homes in the zoning ordinance are often run in with other types of medical facilities, and it is therefore difficult to make any conclusive generalizations about the zones in which they are customarily located. In a few instances, however, separate standards have been developed for convalescent or nursing homes. Probably because of their "homelike" character and because they seem to be a particularly innocuous form of medical institution, these standards mostly deal with number of patients — a factor which directly bears upon the size of the structure involved. In Lorain, Ohio (1948) a convalescent home, home for the aged, or children's nursery is defined as "any dwelling with not more than ten sleeping rooms where not more than fifteen persons are housed or lodged and furnished with meals and nursing care for hire." These homes are permitted in R-3 residence districts. Similarly, in Kansas City, Missouri (1951) a convalescent home or old folks' home for not over twelve patients may be located in an R-3 multi-family residential district. In Madison, New Jersey (1949) residential density standards are applied to convalescent homes where it is required that the lot area shall be not less than 1,500 square feet per patient. Los Angeles County, California (1951), in a commendable departure from automatic pyramiding of uses, explicitly prohibits dwelling and hospital uses from the zones thought to be not fit for human habitation. Among other specifically named uses which may not be located in these districts are institutions or homes for the treatment of convalescent persons. The forbidden areas are (1) M-2 and M-4, heavy manufacturing and unlimited manufacturing; (2) Zone Q, Quarries; and (3) "areas subject to inundation" as labelled in the zoning ordinance. 1. The National Association for Mental Health, Inc., in Facts and Figures About Mental Illness and Other Personality Disturbances, groups people needing medical, psychiatric, or other special care in the following manner: (1) the mentally ill; (2) persons with personality disturbances; and (3) the mentally deficient. This is not necessarily an accepted psychiatric classification, but it indicates the range of disorders falling within the general term "mental patient." 2. See BIBLIOGRAPHY for complete bibliographical references. 4. Off-street parking recommendations as developed by David R. Levin in Zoning for Parking Facilities, Highway Research Board (1950) are reproduced in the Appendix. These cover hospitals, sanitariums or convalescent homes, medical or dental clinics, and welfare institutions. Off-street parking standards for hospitals, sanitariums and convalescent homes, and medical or dental clinics, as recommended by David R. Levin, Chief, Land Studies Section, Financial and Administrative Research Branch, Bureau of Public Roads in Requirements for Off-street Parking Facilities in Zoning and Other Local Ordinances, Highway Research Board Bulletin No. 24, May, 1950. (Highway Research Board, 2101 Constitution Avenue, Washington 25, D. C. Price $3.00). Peak hours, at most hospitals, generally coincide with the afternoon and evening hours. The ratio of doctors, internes, nurses and other employees to the patient or bed capacity of a hospital may be quite significant in a study of parking requirements. Standards in this field have been evolved by the United States Public Health Service, based upon their contact with hospitals the country over. It has been found, for example, that in general a hospital requires as many employees (including doctors, nurses, etc.) as it has patients. On the average, one nurse is required for each six patients, plus ten per cent more for dietitians, etc. One staff doctor is required for each six patients, and one intern for each ten patients. Accordingly, it is suggested that one parking space, of the standard size,* be provided for each four patient beds (excluding bassinets) in a hospital, plus one space for each staff or visiting doctor (based on the average number), plus one space for each four employees, including nurses. Off-street parking space for hospital ambulances and similar vehicles is not included in these proposals, and it is obvious that separate and additional provisions should be made for these needs. * "A parking space is defined as an area of appropriate dimensions, of not less than 180 square feet, net, exclusive of access or maneuvering area, or ramps, columns etc., to be used exclusively as a temporary storage space for private motor vehicles; truck loading and unloading space shall not be included in such area; when the application of a unit of measurement for parking spaces to a particular use or structure results in a fractional space, any fraction under one-half shall be disregarded, and fractions of one-half or over shall be counted as one parking space." "The Chronics; They Belong in General Hospitals." E. M. Bluestone, M. D., in HOSPITAL TRENDS AND DEVELOPMENTS. pp. 336–360. DESIGN AND CONSTRUCTION OF GENERAL HOSPITALS, A Definitive Study of the Physical Aspects of The Hospital Plant in Relation to Its Function. Federal Security Agency, Public Health Service, Division of Hospital Facilities. The Modern Hospital Publishing Co., Inc., Chicago. 110pp., illus. FACTS AND FIGURES ABOUT MENTAL ILLNESS AND OTHER PERSONALITY DISTURBANCES. The National Association for Mental Health, Inc., 1790 Broadway, New York 19, New York. April 1952. 9pp. "The Future of Psychiatric Care in Hospitals." Karl Menninger, M. D. in HOSPITAL TRENDS AND DEVELOPMENTS, pp. 363 – 367. THE HOSPITAL BUILDING. Comprising the 1947 A.I.A. Convention Seminar Addresses on Hospitals, and the Building Type Reference Guide No. 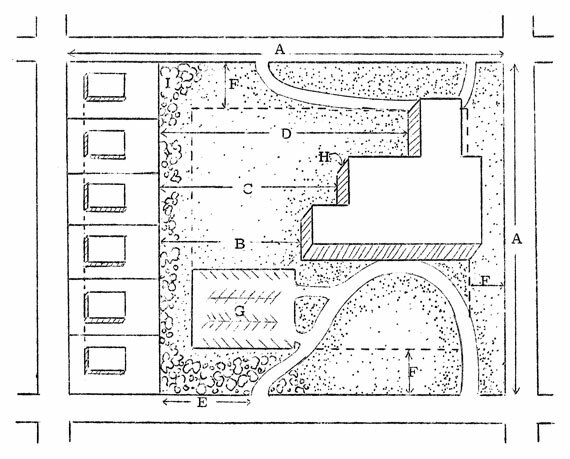 2, reprinted from the Bulletin of The American Institute of Architects, May 1947 and January 1948. Compiled and Edited by Walter A. Taylor, Director, Department of Education and Research, the American Institute of Architects, The Octagon, Washington 6, D. C. 71pp. $ 2.00. HOSPITAL CARE IN THE UNITED STATES. A Study of the Function of the General Hospital, Its Role in the Care of All Types of Illness, and the Conduct of Activities Related to Patient Service, with Recommendations for Its Extension and Integration for More Adequate Care of the American Public. Commission on Hospital Care. The Commonwealth Fund, 41 East 57th Street, New York 22, N.Y. 1947. 631pp. HOSPITAL RESOURCES AND NEEDS, Report of the Michigan Hospital Survey. The W. K. Kellogg Foundation, Battle Creek, Michigan. 1946. 172pp. H8SPITAL TRENDS AND DEVELOPMENTS 1940 – 1946. Edited by Arthur C. Bachmeyer, M.D. and Gerhard Hartman, M.D. The Commonwealth Fund, 41 East 57th Street, New York 22, New York. 1948. 819pp. HOSPITALS — INTEGRATED DESIGN. Isadore Rosenfield. Progressive Architecture Library, Reinhold Publishing Corporation, 330 West Forty-second Street, New York, New York. Second Edition Completely Revised 1951. 398pp. , illus. THE MASTER PLAN FOR HOSPITALS AND RELATED FACILITIES FOR NEW YORK CITY. The Hospital Council of Greater New York, 370 Lexington Avenue, New York 17, New York. April 22, 1947. 62pp. "A New Concept in Physical Medicine and Rehabilitation — Treating the 'Whole Man.'" Frank H. Krusen, M.D. Hospitals, January 1953, pp. 59 – 60. A PATTERN FOR HOSPITAL CARE. Final Report of The New York State Hospital Study. Eli Ginzberg. Columbia University Press, New York. 1949. 368pp. "Progress in Nursing, Convalescent and Rest Homes." Bernice L. Hotchkiss, R. N. Hospitals, January 1953, pp.75 – 76. PUBLIC MEDICAL CARE; PRINCIPLES AND PROBLEMS. Franz Goldmann, M.D. Columbia University Press, New York. 1945. 226pp. "Service is the Cornerstone." Alden B. Mills. in HOSPITAL TRENDS AND DEVELOPMENTS, pp. 700 – 704. TRAINING AND RESEARCH IN STATE MENTAL HEALTH PROGRAMS. Council of State Governments, 1313 East 60th Street, Chicago 37, Illinois. To be published in August 1953. "Tuberculosis Control in General Hospitals." Robert G. Bloch, M. D., William B. Tucker, M. D., and Arthur C. Bachmeyer, M. D. in HOSPITAL TRENDS AND DEVELOPMENTS, pp. 367 – 374. January 1952. "Community Hospital of the Year." pp. 126 – 129. March 1952. "Three Small Hospitals Combine Residential Charm, Medical Efficiency, Structural Economy." pp. 112 – 119. January 1953. "New Hospital Type" the Samuel Radhill Building, Philadelphia Psychiatric Hospital. pp. 118 – 120. July 1951. "The Architect and the Health of America." Entire issue. July 1952. "VA Hospital: Fort Hamilton, Brooklyn, New York." pp. 63 – 74. November 1952. Four articles, including "Construction for Medical Care," by E. M. Bluestone, M.D. ; and on hospitals at Greenwich, Connecticut; Weston, Ontario; and Escondido, California. pp. 85 – 101. Copyright, American Society of Planning Officials, 1953.